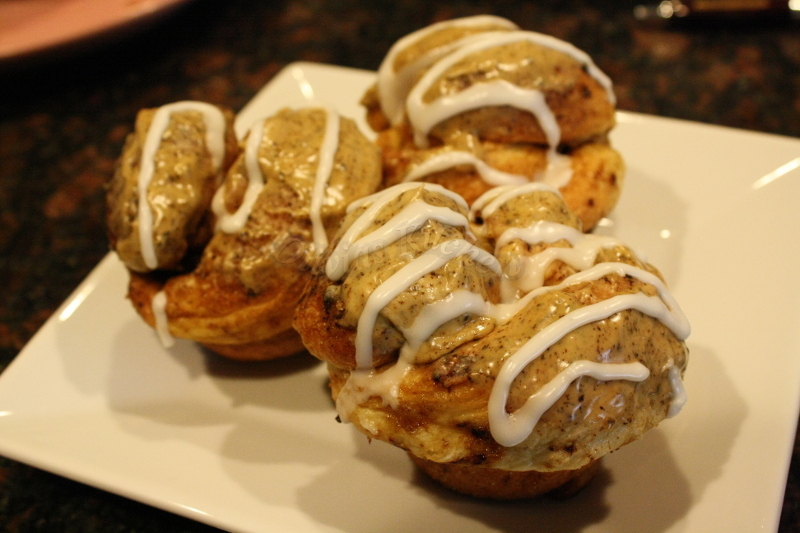 Another recipe to use your basic sweet dough is to make cappucino knots . It’s not hard , it’s quite easy , so if you’re a coffee lover , this might be your next favorite thing to snack on ! 1. Divide the dough into 12 equal balls , then roll it into 8-9 inch long rope . Do the same with the rest . Then dip each one into the melted butter , roll onto the sugar espresso mixture . Then tie into a knot and place 1 end on top before placing it on buttered muffin pans . 2. Bake at 350 F for 27 minutes . Cool for 10 mins before removing from pan . 3. Make the glaze , mix the ingredients together , dip the knots into the glaze .